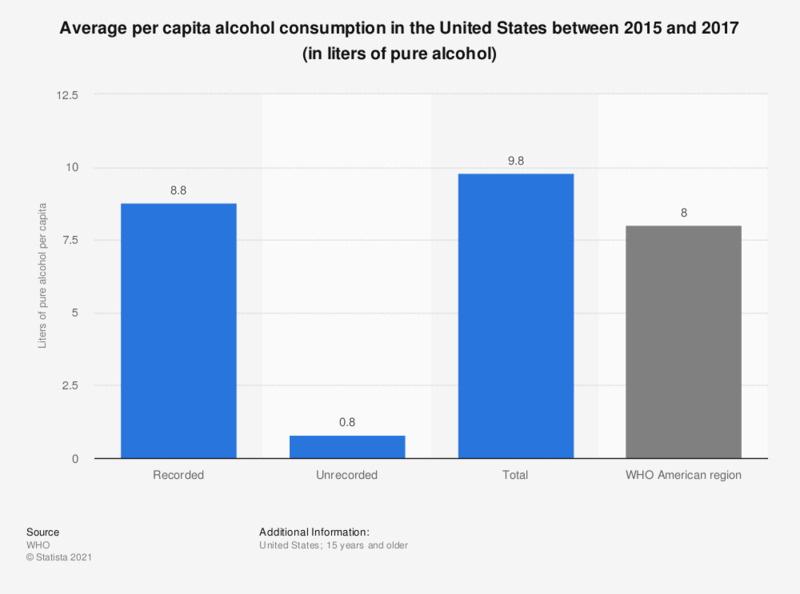 This statistic shows the average per capita alcohol consumption in the United States between 2015 and 2017. The recorded average per capita alcohol consumption was 8.8 liters of pure alcohol during this time. Approximately how many drinks of any kind of alcoholic beverages did you drink in the past seven days? Do you sometimes drink more alcoholic beverages than you think you should? What do you think about the amount of alcohol consumed by Denmark's youth?